NASCAR, as a sport, is fond of oval tracks that just so happen to be 1.5 miles in length. Those tracks just so happen to be some of the least interesting of them all, so one decided to change it up by running a mix of the oval and its interior road course in 2018. After testing the track, drivers aren’t sure how to feel. That’s understandable, too, considering that not only will this layout make for a fun race—it’ll be a real experiment, too. This track is weird and wacky in every possible way. 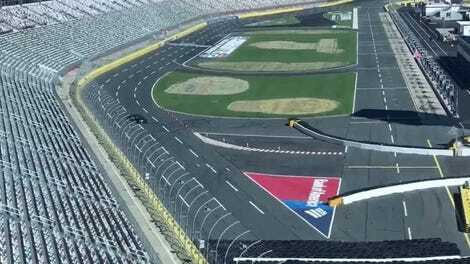 Goodyear had several drivers out on Charlotte Motor Speedway’s road course-oval—or, in a more catchy way of saying it, “roval”—layout this week testing tire compounds, since the track’s 2018 playoffs race will take place there. It’ll be the first-ever road course in the now-named “playoffs,” which have been around for 14 years. The playoffs, which have far more weight in deciding the champion, currently have five 1.5-mile oval tracks across 10 total races. That’ll change in the top-level Monster Energy NASCAR Cup Series next year, making for a far more entertaining and fair way of whittling the field down to a champion. But drivers aren’t sure what to think about it all, considering the incredibly tight nature of the track layout and the roughness of the track itself. The total length is 2.4 miles and the circuit will use almost the entire 1.5-mile oval, meaning that twisty interior section is only about a mile long. The two added oval chicanes will require drivers to go from banking to a flatter surface, and the course is made up of asphalt of all ages—according to ESPN, the oval was last repaved in 2006, the interior road course was redone in the past year and the two chicanes branching from the oval are brand new. “It’s going to be more about survival and being smart,” Busch said. “That’s what I see developing with this type of layout. ... [It has] a lot of sharp corners, low grip and we have 800 horsepower, so we’re always trying to put the power down and we’re just sliding the tires quite a bit. 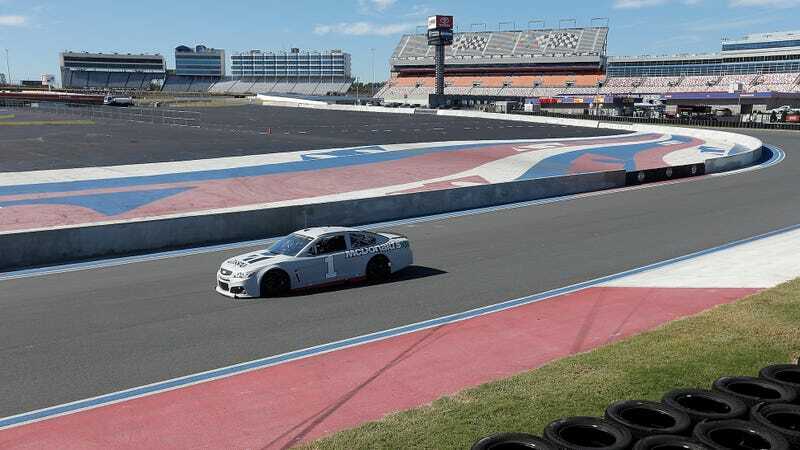 Tight courses and heavy braking zones can be tough on stock cars, as we saw when NASCAR Peak Mexico Series driver Santiago Tovar lost his brakes during a race on a short and tight road course that didn’t allow enough time for them to cool off between turns. That doesn’t seem to have been a problem on this course, but ESPN reports that Busch suggested removing a turn completely to help drivers carry more speed from the interior road course onto the oval track. “It’s very narrow,” Truex said. “It’s very rough. There’s a lot of swells and whoop-de-dos — there’s all kinds of craziness going on. ... There’s really a lot of spots that made me nervous most of the day [Tuesday]; I’m getting more used to them now. “Challenging and tricky” sounds about right for a playoff race. The roval just keeps getting better, and it sure is fun to write (and chant) about. Keep the fun coming, dear roval. The drivers may not be ready for you, but we sure are.